In 2017, volunteers donated 2766.5 hours of their time at the Cultural Heritage Center and Heritage Store at the Capitol. 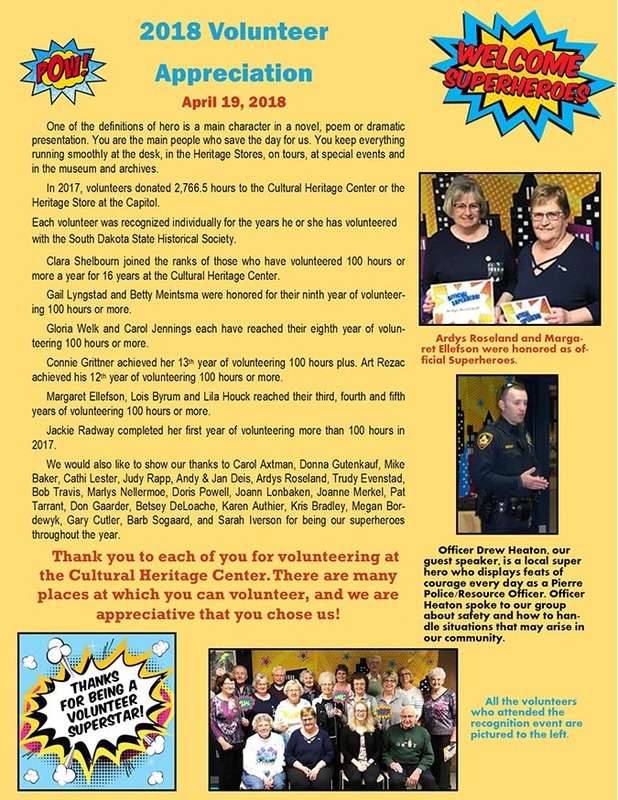 Thank you to the volunteers who donated 100 hours or more of their time at the Culural Heritage Center or Heritage Store at the Capitol in 2017. There are 15 people who donated 100 hours or more last year.